itself for each production lot. to the customer and the product. the quality requirements of the customer. quality standard can be generated automatically. machines (stretching lines, slitters etc.). 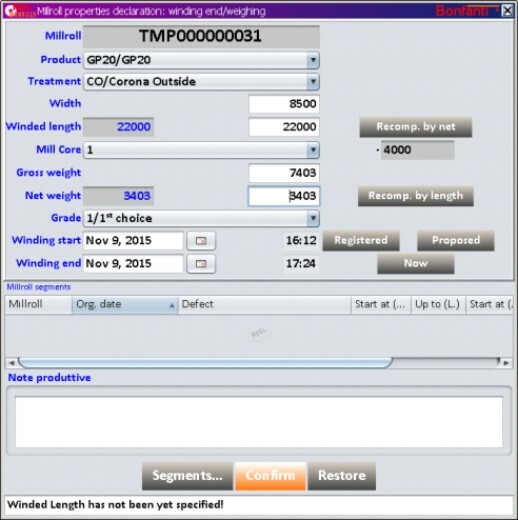 REEL MANAGER allows the plastic film producer to control and monitor operations regarding reel production, from customer orders to warehousing. It supports and manages the whole reels production route of the plastic film production plant, and it integrates all main machines, equipment and handling systems. Configurability: each product code and material routing can be configured to follow the customer process flow. In this way, the company can use both the codes (machines, qualities, defects, materials, products etc.) and map of material routing (standard machine sequences, standard quality rework slitter etc.). Security: the software features have been provided with a multi-level security login, based on authorization according to company role. 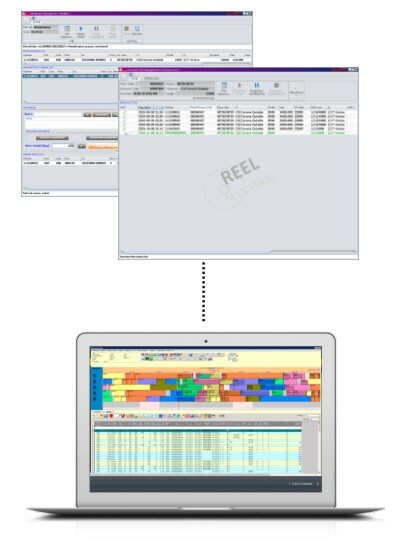 Traceability: REEL MANAGER logs the material consumption and the duration of the operation itself for each production lot. Labeling customization: the reel and pallet labels can be customized to meet the business requirements. The customization can be linked to the customer and the product. 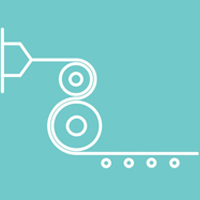 Quality management: it is possible to assign and manage the quality and possible defect of each production lot to automatically manage the quality requirements of the customer. Reworking of the rolls that do not meet the quality standard can be generated automatically. Integration: fully integration with the BONFANTI material handling and warehousing solution; with the INFOPLAN scheduler, and with the FILTRO slitting optimizer. It can be integrated with in-house solutions (ERP, warehousing and scheduling system) and with the production machines (stretching lines, slitters etc. ).